When I shared my first Christmas printable (merry and bright) last week I said every printable I'd make this month would probably have some part of PicMonkey's Santa Land or Winterland incorporated. Well, here I am with only my second printable of the month and I'm already eating those words. I was so swept up in all of PicMonkey's fun new themes that I'd completely forgotten about this adorable wreath over at iPiccy. 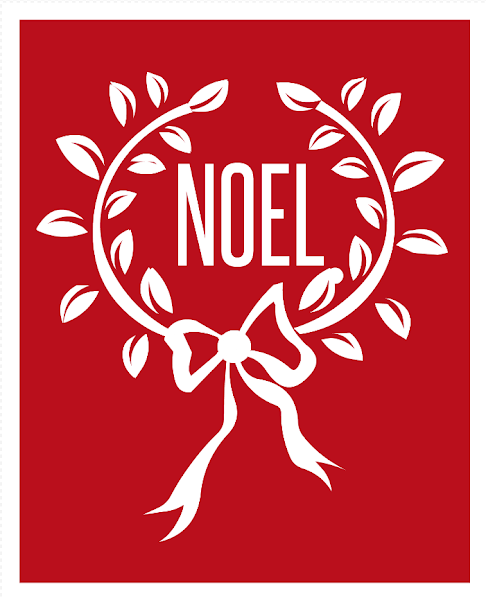 I've had this wreath saved in the back of my mind for months, and I knew once Christmastime hit I'd use it for one of my printables. So, today I have an iPiccy printable for you (I'm sure we'll be back to our regularly scheduled PicMonkey printables next week). I do use PicMonkey more frequently, but every time I venture over to iPiccy I'm pleasantly surprised. They have a great font collection, and lots of fun overlays. Check them out if you haven't. Have a wonderful week! Hopefully you're taking the time to enjoy all of the festivities of this magical month. We visited a darling gingerbread house display and our local Creche over the weekend (check me out on Instagram for pictures). Such great activities to help a feel a bit of holiday cheer.